Highways England, responsible for managing the motorway network and major A roads in England, would like to better understand how the service it provides affects the freight sector and how the motorway network and major A roads could be improved. If you would like to get involved in the project and air your views via a survey or short telephone interview, please contact the project team [email protected]. Motorists in Glasgow will have to put up with a series of road closures for the rest of October – all for the sake of Hollywood and undiluted movie magic. A crew of 200 people will be involved in the production of the movie – a spin-off of the Fast and Furious franchise – when shooting takes place in the centre of Glasgow from October 24th-29th, the BBC reports. Glasgow City Council has revealed which roads will be affected by filming and when – the full list can be found a bit further down. A statement from the city council read: "All vehicles will be prohibited, waiting, loading and unloading will also be prohibited, except vehicles there in connection with the filming, which have been given permission by the Glasgow City Council Traffic and Road Safety." The spin-off film will star some of the biggest names linked to the Fast and Furious series over time, such as Jason Statham and Dwayne ‘The Rock’ Johnson, as well as newcomers to the franchise such as Idris Elba and Eddie Marsan. Currently, the film only has a working title of ‘Hobbs & Shaw’ – a reference to the characters played by The Rock and Luke Evans – and is on track to hit cinema screens around August 2019. Glasgow was used as a filming location for Fast and Furious 6 in 2012, but none of the stars came to the city. Lowering the drink-drive limit in Scotland has had little effect on bringing down the number of deaths and accidents on the nation’s roads. That’s according to a study from the University of Strathclyde. It found that the lower limit for blood alcohol content (BAC) had not sparked a significant drop in road fatalities, notably in the death rate of drivers aged 16-25, who are seen as one of the highest-risk groups for drink-driving. Researchers from Strathclyde’s Department of Economics insisted they are not suggesting that previous BAC limit reductions had not been effective, only that the most recent revision failed to produce a material impact on road safety. The latest BAC limit change came into effect in Scotland in 2014, dropping from 0.08mg to 0.05mg per 100ml of blood. Researchers looked at more than 1.1 million accidents between 2009 and 2016, which resulted in 1.5 million casualties and more than 14,000 fatalities collectively. In the two years leading up to the lower BAC limit, Scotland had monthly accident rates of 740.63 and fatality rates of 14.96. In the two years after the new limit’s introduction, the rates were 704.13 for accidents and 15.25 for fatalities. This was the case in England and Wales too, where the drink-drive limits had been unchanged. A statement from the researchers suggested that this latest BAC limit reduction had “not achieved all that might have been hoped for it in terms of road safety”. There has never been a better or more pressing time to consider a career in cyber security. Not only is October National Cyber Security Awareness Month, but almost two-thirds (63 per cent) of organisations worldwide have a shortage of IT staff dedicated to cyber security. As a result, the current workforce gap around the world has widened to three million. Companies are reporting a desperate need for cyber security workers, with 59 per cent of firms claiming to be at moderate or extreme risk of cyber security attacks due to this shortage. All these figures surfaced in a report from non-profit association (ISC)², which quizzed almost 1,500 ICT workers around the world. Close to half of respondents say their organisations plan to increase their cyber security staffing over the next 12 months. The bulk of the shortage is in the Asia-Pacific region, which is experi­encing a talent gap of 2.14 million, due in part to its growing economies and new cyber security and data privacy legislation being enacted throughout the region. Almost half a million are in the US, while EMEA and Latin America contribute a 142,000 and 136,000 staffing shortfall respectively. In the UK specifically, the National Cyber Security Centre is suffering from its own digital skills shortage, while security firm Raytheon put its vacancy rate between 20-30 per cent. Women are being especially encouraged to pursue a career in the cyber security sector, where they make up barely one in four workers. David Shearer, chief executive of (ISC)², believes his company’s research will foster a clearer understanding of who makes up the larger pool of cyber security workers. “By broadening our view of the workforce to include those with collateral cyber security duties within IT and ICT teams, we discovered that professionals are still facing familiar challenges, but also found striking differences compared to previous research, including a younger workforce and greater representation of women,” he commented. A construction firm has become the latest to shout from the rooftops about their amazing experience of working with Fuel Card Services. Sussex-based Firma Services relies on its diesel-fuelled vans to complete building and landscape projects at homes around the UK, so having a dependable fuel solution is hugely vital. That’s why company director Caroline Wallace has been a long-time customer of Fuel Card Services. 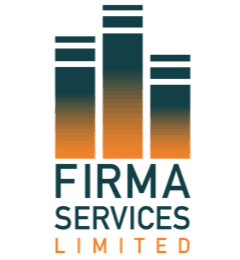 Over the years, Firma Services has benefited from having one of the largest independent agents of fuel cards in the UK on its side, working to help keep fuel costs down. But it’s the exceptional customer service that has really wowed Caroline over time, especially from current account manager Donna Grimshaw. “I have had various account managers in my time, but Donna Grimshaw stands out as one of the very best,” said Caroline. “Nothing is too much trouble for her and she is consistently committed to ensuring that everything is running just as I like it. Down to earth, switched on, knowledgeable and smart. Praise doesn’t get much better than that. If you want to receive this kind of brilliant service and amazing fuel savings, get in touch with Fuel Card Services.